Bishop James A. Tamayo joins his brother bishops in the following statement in support of the Day of Prayer and Fasting for Peace as encouraged by our Holy Father, Pope Francis. WASHINGTON—The President of the U.S. Conference of Catholic Bishops, Cardinal Daniel N. DiNardo of Galveston-Houston, is encouraging Catholics across the nation to join with Pope Francis on Friday, February 23, for a special Day of Prayer and Fasting for Peace. The day of prayer and fasting will focus on continued conflicts in the Democratic Republic of Congo, South Sudan and other areas of the world. Reflecting on the suffering caused by violent conflict, Pope Francis said, "Our heavenly Father always listens to His children who cry to Him in sorrow and anguish, who 'heals the broken-hearted and binds up their wounds' (Psalm 147:3). I make a heartfelt appeal so that we also listen to this cry and, each one of us in his/her own conscience before God, ask ourselves, 'What can I do for peace?'" "Our Holy Father, Pope Francis, has called us to observe a special day of Prayer and Fasting for Peace on Friday, February 23, as Lent begins, with a particular concern for the Democratic Republic of Congo and South Sudan. Tragically, violent conflict rages in both nations. South Sudan won its independence in 2011 only to find itself a victim to corruption and a bloody civil war. 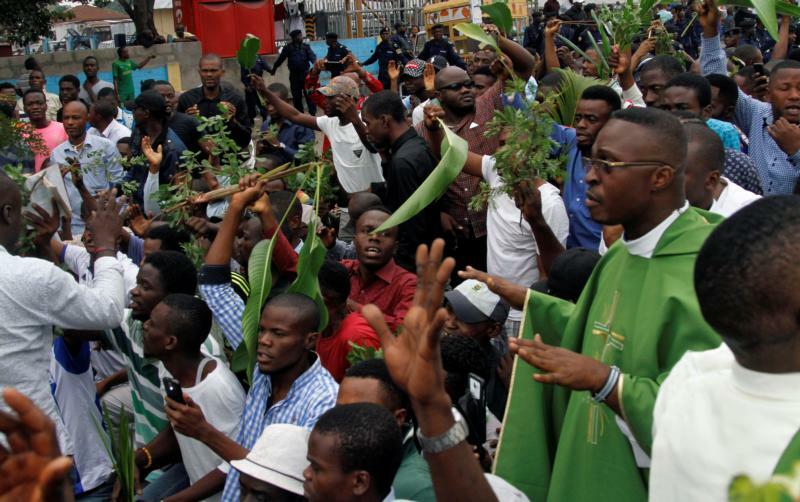 In the Democratic Republic of the Congo, the government fails to honor the constitution as the Catholic Church courageously promotes a peaceful resolution of the conflict between the ruling and opposition parties. In both countries, innocent families suffer. Let us answer the Holy Father's call to pray and fast for peace, especially for the Church and peoples of South Sudan and the Democratic Republic of the Congo. And let us turn our fasting into almsgiving and support the work of Catholic Relief Services in both countries. May God bless South Sudan, the Democratic Republic of the Congo and our world with peace." To learn more about the special Day of Prayer and Fasting for Peace and for additional resources on how Catholics can respond, please visit: http://www.usccb.org/issues-and-action/human-life-and-dignity/war-and-peace/day-of-prayer-and-fasting-for-peace.cfm. Keywords: U.S. Conference of Catholic Bishops, USCCB, Pope Francis, Holy Father, Cardinal Daniel N. DiNardo, Day of Prayer and Fasting, Democratic Republic of Congo, South Sudan, violent conflict, peaceful resolution, almsgiving, Catholic Relief Services.